Z-Cam haven't been super forthcoming with how they're measuring DR to get to their claimed numbers. They're probably optimistic, just as pretty much every other vendor is optimistic. As far as saying you can't see 16 stops of DR in footage, bear in mind that in F stop terms, 14 stops is everything from f/1.4 to f/128 and 16 stops would be everything from f/1.4 to f/256. It's a lot. If you're intentionally lighting any scene, it's very unlikely that you'd have any realistic need for that many stops of DR - and no, your monitor almost certainly can't show that. m43 sensors now can rise DR at lower ISO only by cooling sensor and implementing similar tricks. For higher ISOs dual amplifiers also help a little. All cameras are still extremely dumb in their noise reduction capability as it required big buffers and calculation efforts. This is where big improvements can come (won't add anything in pixel capacity only in the random noise reduction). I have a GH5s which is very powerful in all lighting conditions. But I need 120fps slow motion in 4K. Is there other solution than E2 in same price range ? This guy tested DR, found a little more than GH5, Sony.. Camera seems great on paper, love form factor. Really like that you can plug iphone/ipad in directly for monitoring/camera control. Still waiting for some truly impressive footage though. So far, looks very "Sony", drab colors and not very "thick" image. Hopefully just hasn't been put in good hands yet. @theconformist That video is garbage and the authors blocked me from commenting on their channel because I posted a polite critique of it. They claim to be testing dynamic range across cameras, but their testing methodology includes Premiere scopes which are obviously clamped to 8-bit. You can actually feel yourself becoming dumber as you watch their video. @flash There are no other cameras that shoot 120 fps 4k for less than $2,000. @eatstoomuchjam Jeez... If you have samples that wow you, feel free to post them. Nothing I have seen so far really looks that great. I am super interested in the camera, I'm sure it can create great imagery, just haven't seen it. Whether the test is flawed, it is still comparing to other cameras using the same measurement tool. More DR than comparable cameras like GH5/BMPCC4K, Sony is still saying something, even if not a precise measurement. @theconformist I'm not sure what would really "wow" you or anybody else when it comes to a camera like this one, especially when you use meaningless terms like "thick" to describe the type of image that you like. It makes an excellent image with good dynamic range and 250 megabits of HEVC (or ProRes) is plenty for lots of detail. Otherwise, spend some time actually reading the group history and looking at the footage which has been posted. Michael, James, and Tat have all posted some very nice stuff. @theconformist "Thick" means deep rich colors, contrast, good skintones... Images that pop. Can't really judge by Bloom's footage, his color grading makes everything look the same, low contrast with muted colors. I have watched some stuff on the group, it's not bad, very detailed for sure, it's a technically great image. But if you told me it was shot with an a7iii I wouldn't doubt it. @jleo....I just navigated their labyrinthine ( and dysfunctional ) fb page and the e2c will have 24p. I can't wait for it to be $200 ! @theconformist Then you should probably try renting one and shooting for yourself. I'd say the same about "if you told me it was shot with an a7iii" about half of the movies in the cinema now, as well as about 98% of online videos. Z-CAM raw that is really not raw? More new formats? Target ship date: March 2019. This is more of the proper way. @kurth thanks, that's good news, hard to find info on the E2c! It will be still E2 series as we mainly changed the sensor. If you put the cameras together you will finally found them almost the same. They will be of similar size. Small body is the key. We want to build a series of handheld powerful cameras. S35 version can do up to 6K60fps. 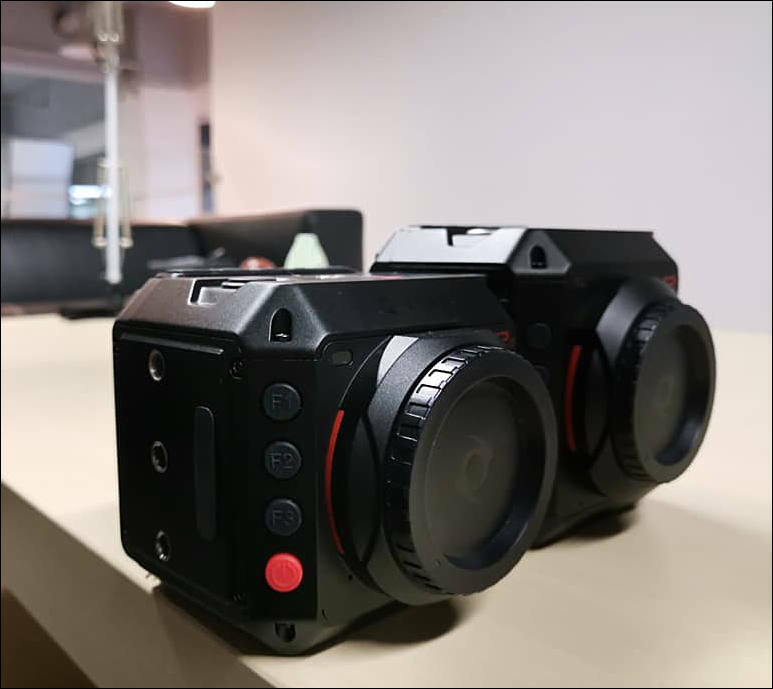 S35 version can do 6K30/60fps sensor input and then down scaled to 4K30/60fps recording. Super sampling recording is amazing. Target mass production is October. We set 3 target mass production target in the past for different products and we delivered them. 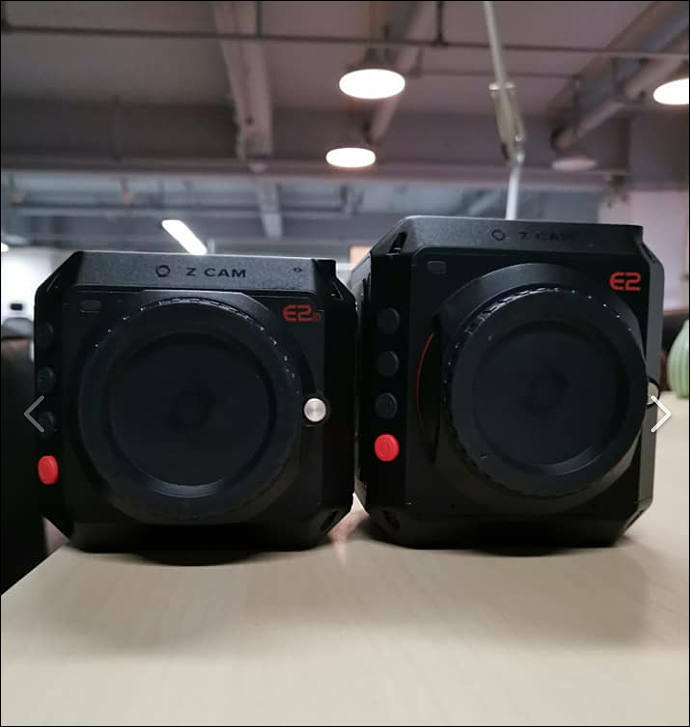 All E2 series cameras share the same codes if it's not feasible with that sensor so it has all features E2 has(resolution/framerates are not in this claim). Planning EF/PL mount with active lock for many reasons. : a. We planed short flange mount before and we found E mount isn't an option for 3rd party camera makers. The new mounts are lack of lenses(waiting to be proved) and also not open to welcome 3rd party to join. b. exchangeable lens mount needs more space which means the camera needs to be bigger. And also we don't think user can make short flange lense mount FLAT enough. If you make a test on E2 you will find E2's flange is the most accurate one in all M43 cameras that all the cameras have exactly the same flange. The shorter flange the edge blur issue will be more serious if we open it to user for exchange. c. If we make an own standard we need to make all the adapters by ourselves, and that's not possible to set up ecosystem. We are still open to suggestions. If an accessory works for E2 it should work with E2 S35.
" We want to build a series of handheld powerful cameras." ...if that's true, why did they restrict the the e1's bitrate ? I think they did not. They just used Ambarella provided libraries and their limits. The E2c is really interesteding.